I have had a long day. Up early, which is nothing new for me, to drive into Eugene. Uhhhgggg. It is the worst drive from Florence. However, groceries do have to be bought. LOL Finally getting home to do website work. I have a new color of Nicole's BeadBacking. Well actually it is an old color brought back. Yayyyy Lavender. It is so pretty. 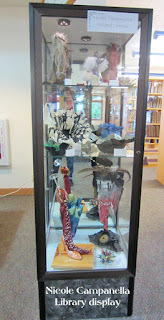 I did attend my first meeting with the art committee with our library. This is going to be so much fun. I am honored to be apart of it. Now for some art. Not much done this week. I have decided to paint a black and white series and this is the first of I think 10. This looks so illuminating in real life. 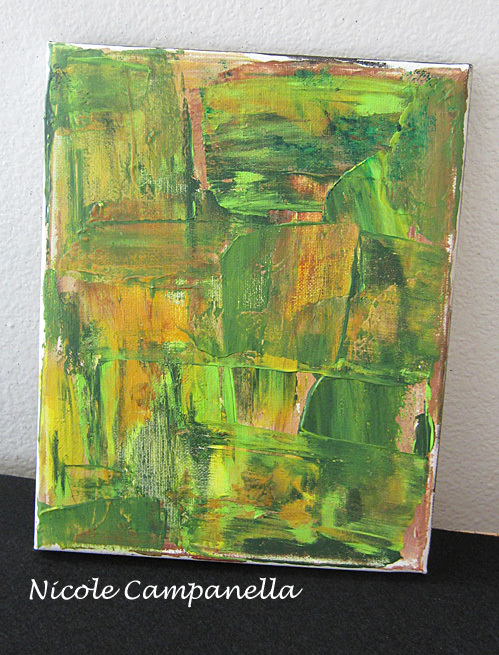 Needed another abstract for an upcoming show. 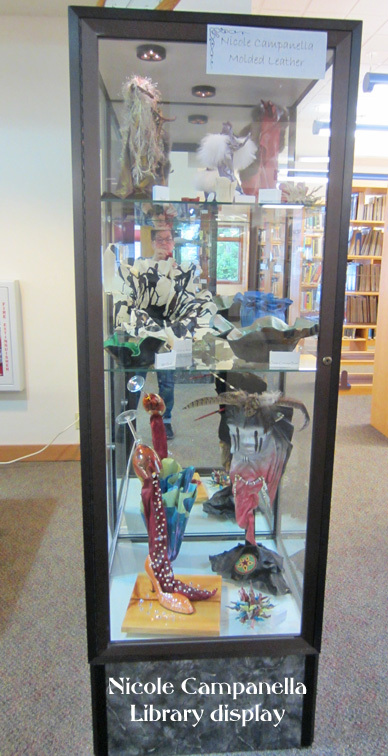 OK, I was just not able to get any good photos of my leather display but at least wanted to show how it was set up. Two cases on either side of the isle. Glass and mirrors make up the cases so for me getting a photo was not good. These have some real nice neon green. One person said fire another said sea weed, you pick? Linking to Paint Party Friday with thanks to Eva and Kristen. Hello Nicole, you've been busily working on all things creative. The black and white is stunning - those twinkles on the water are lovely. The photos you took of the cabinet came out so well... yes, a hard photographic subject. Really love the idea of a black and white series so dramatic. Your leather work is always stunning. Enjoy it all Nicole but find time to rest. I love all your art! So inspirational. My daughter just applied to college in Eugene. wonderful artworks as always. Love the bright colored cabs, and yet I also love the black and white piece. Happy PPF! I love those hand painted cabs... bright jewels. Love your abstracts! 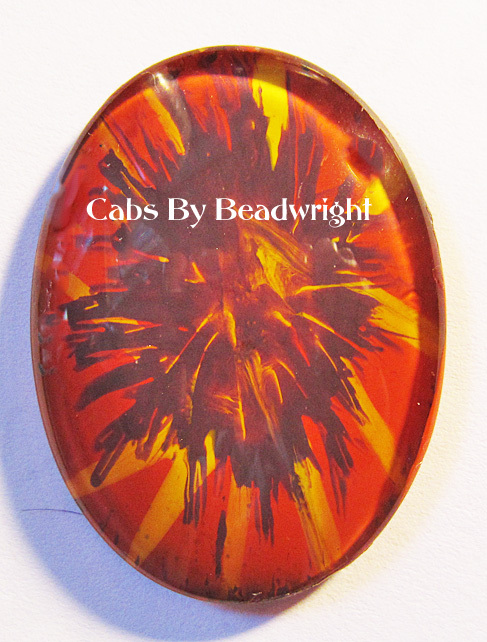 BEautiful cabs! I love the black and white painting. All your art is fabulous! 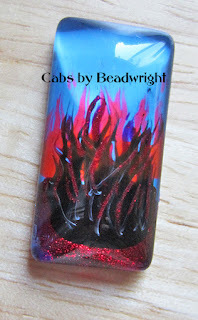 Bw is very creative and display of your artwork is elegant ~ and your 'cabs' are gorgeous! Oh Nicole, that black and white piece is so gorgeous! 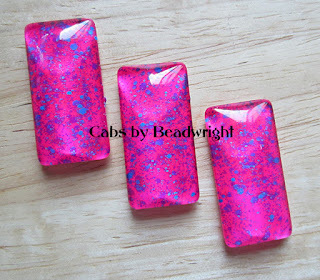 Also loving the vivid cab colors - that bright pink one is super. Congratulations on being part of the committee!! I love your black and white painting and all those cabs. It is not easy to get good shots of glass and mirror cases. It´s a pity, But I am sure if was great in real life. I would love to see more of your b&w series, the first one is wonderful. 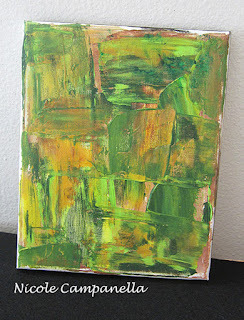 The orange and the green look lovely together in the abstract, made me think of a forest. 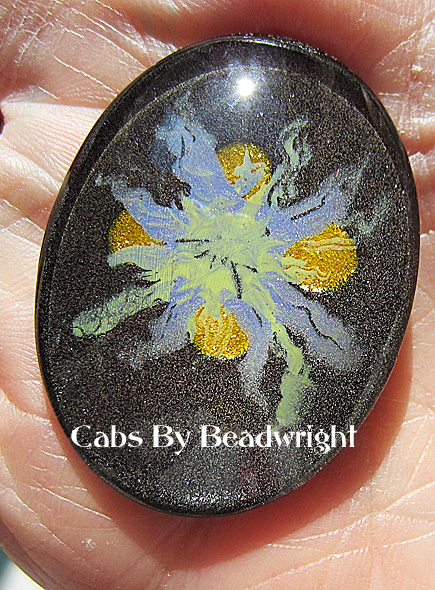 The cabs are beautiful, love the autumn splash. Your black and white picture is great. I also like your bright cab colors. Really wonderful work as always! Again, you are rocking it girl! I am so happy for you, with everything that is happening! 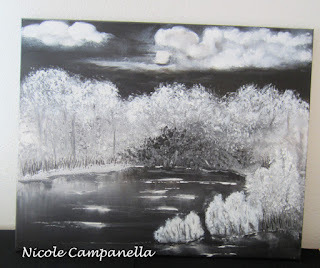 I love your black and white painting! I love your abstract! 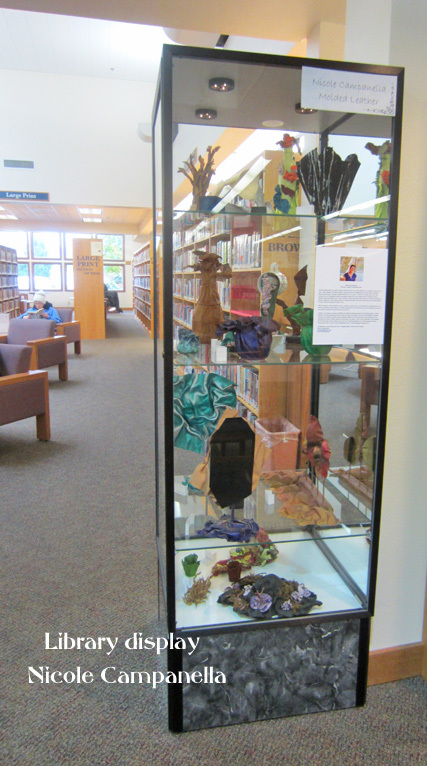 I love how your leather art is being displayed! And, I love your new cabs! All very special! Big Hugs!